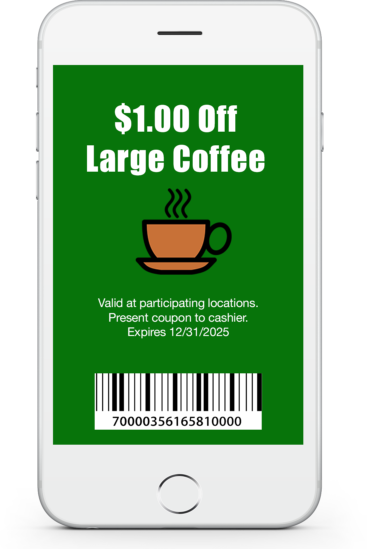 With the Mobilozophy mobile coupon platform, creating and redeeming mobile coupons is easier than ever. Even with no programming experience, you and your staff can easily publish coupons via a number of channels. Share them via SMS or text, location-based notification, or a mobile site or app. Plan your coupons rollout for exactly the right time. Spur sales by sending coupons to customers who are nearby or in your store. Options for any size company to easily redeem coupons. Let our Wizard easily guide you through creating and publishing coupons. You can assign coupons to specific categories making them easier for your consumers to find. Get vital information about how your campaign is doing, while it’s still in progress. Individualize coupons with PURLs and redemption codes. Consumers can find the nearest location to use their coupons. You won’t break the bank by hiring someone to build an entirely new mobile coupon system. An increasing number of customers seek out and use mobile coupons. Discover how customers are reacting to your campaign, as it happens. Mobile coupons cut down significantly on paper waste. 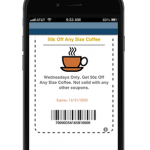 All your customers need to access your coupons is a mobile device. Customize your coupons’ to meet your customers’ specific interests and needs. Deliver offers precisely when your customers need them. Ready to discover what our mobile coupon platform can do for you? Schedule a demo with our knowledgeable, friendly experts to discover how this revolutionary marketing tool can grow your business.